Witnesses said the brothers started arguing and the 19-year-old shot his brother then got out of the car and shot himself. 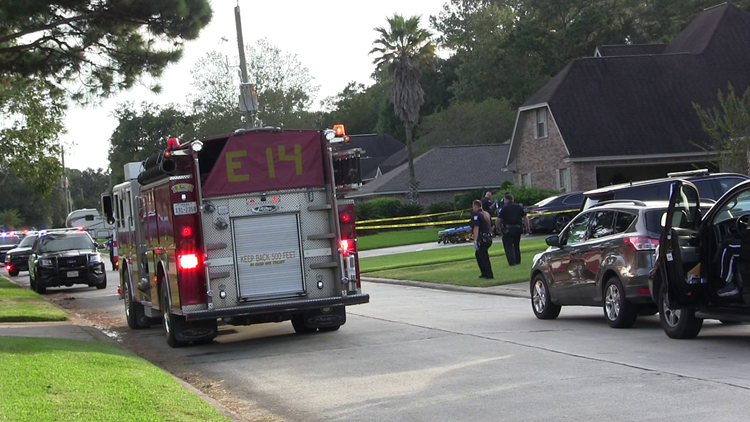 Beaumont police responded to the 6800 block of Broadleaf Avenue around 5:07 p.m.
Police said a caller told officers that a 19-year-old man shot his 20-year-old brother then shot himself. The 19-year-old man who shot his brother and then himself has passed away from his injuries, police said Oct. 14. Witnesses told police the victim and his brother were sitting in a car with another person when the shooting happened. The shooter is in critical condition. The brother who was shot is in stable condition. The Beaumont Family Violence unit is investigating the shooting. Saturday, October 13, 2018 at 5:07pm, BPD responded to a shooting in the 6800 block of Broadleaf. The caller said a 19 year old Beaumont man shot his 20 year old brother and then shot himself. Both males were transported to the hospital. The shooter is in critical condition. The 20 year old brother/victim is stable. Witnesses told officers the victim and his brother were sitting in a car with another person. The brothers were arguing. The 19 year old man shot his brother and then got out of car and shot himself. Beaumont Police Family Violence Unit responded and are investigating the incident.